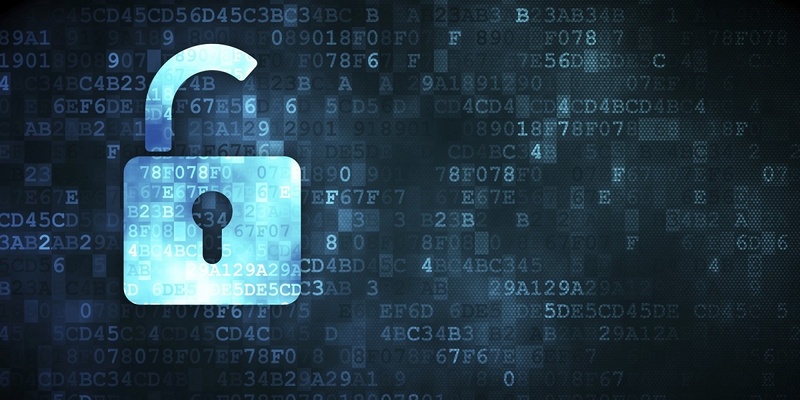 Video Encryption: AES or DRM? There are different ways in which enterprises can secure their digital media within their enterprise video content management systems. These security requirements can either be fulfilled by the safety measures provided by the digital asset management system or by using third-party technologies that are dedicated systems for providing extensive security. VIDIZMO, a Gartner-recognized Enterprise Video Content Management System, provides its customers different layers of security measures at every step along the way – during steps of content ingestion, delivery, playback and storage, we got you covered. These security requirements can either be fulfilled by the safety measures provided by VIDIZMO or if customers wish to integrate any third-party Digital Rights Management (DRM) technologies with their enterprise video portal, then VIDIZMO also offers seamless support for such technologies, allowing customers to utilize enhanced benefits provided by these security systems. Static: Video is encrypted right after upload using the cryptographic key. Video playback requires video decryption using the same key that was used while encrypting. Dynamic: Content is encrypted on-the-fly before transferring for playback. This allows customer to decide the key right before transmitting video, allowing changing the key if necessary at any time. In-transit, VIDIZMO uses HTTPS to transfer content, preventing man-in-the-middle attacks. AES is an encryption method that allows content owners to encrypt their video using a 128-bit cryptographic key. An end-user will require the same key to playback the video. Entities that do not have access to the key, would be unable to access the content. Even downloading the video will open some junk data that simply will not open. The encryption keys can be selected by end-users themselves at the time of encryption and are maintained and provided by VIDIZMO. The end-users can use a different key for each video if required. Digital Rights Management (DRM) is a technology that defines a set of rules according to which content owners can define rules to allow content access to users and determines how the content can be used, reused, purchased, copied, downloaded and distributed by that user. DRMs are third-party technologies that are creating out-of-the-box solutions for content security, like Microsoft’s PlayReady, Google’s Widevine or Apple’s FairPlay etc. The end-users can select their cryptographic keys and they will be maintained and provided by DRM. What is the right content protection for you? Customers often find themselves in the confusion of assessing what type of security measures their digital content requires. After assessing AES encryption and full-fledged DRM systems for video encryption, we can highlight the following areas where they differ, helping customers to make the decision that suits them best. In terms of AES, the cryptographic keys are chosen by the end-users but are maintained and provided by VIDIZMO. The delivery of these keys depends upon a customer’s choice, but by default VIDIZMO chooses to use HTTPS for key transmission, preventing any man-in-the-middle attacks. DRM systems are configured to maintain and share these cryptographic keys and they have dedicated rules and functions that make sure the key transmission is as secure as possible. To be more specific, DRM systems do not transmit keys, but they transmit licenses which contains all the details of user identity and the permissions that are allowed for that specific user, such as when the usage rights expire etc. But maintaining these licenses for every user may introduce added overhead that might not be the level of security that interests your encryption needs. AES encryption provides software-level security, it authenticates and authorizes users based on their virtual identities, and the rights permitted against that identity. The decrypting key can be accessed by all those users having the permissions to watch the content. Being a mature security technology, a DRM also validates the hardware devices where the content is accessed, based on the permits that are assigned to that device and user by the license servers of DRM. This also allows content owners to stream their content in specific devices with specific qualities only. As licenses are maintained per device, an authorized end-user requires a designated license for content access on their device. AES-encrypted content may require decrypting key on the fly and might be a problem if the user goes offline. While in the case of DRM systems, the licenses are maintained per user’s device, allowing content owners to track content usage offline as well, such as allowing a user to play a video for the next 48 hours only. DRM systems include more security measures that can somehow be overcome by normal encryption processes, such as preventing screen recorders while playback or partially encrypting content and making it unplayable, so decrypting becomes an easier process as compared to full-fledged encryption. Also, DRM licenses are signed, preventing one from tampering licenses while in transit over HTTP and much more. Although DRM technologies introduce a different dimension and perspective to normal encryption, but AES encryption remains a valid case in most situations as users may not require a deeper level of security as DRM offers. So, it all boils down the level of security that your digital content requires. Fortunately, VIDIZMO offers both these options to its customers and can be easily configured and utilized in your branded video portal. To know more, contact us today or visit our website to explore broader aspects of VIDIZMO video platform capabilities.